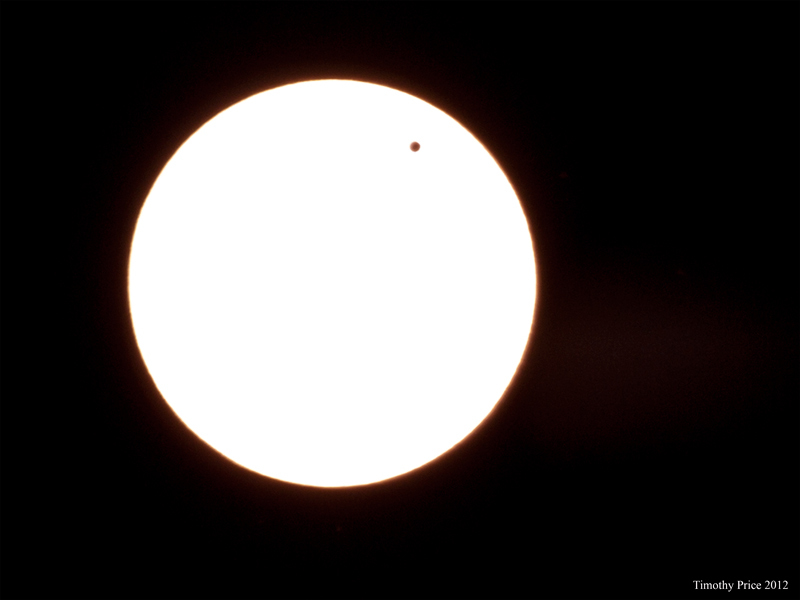 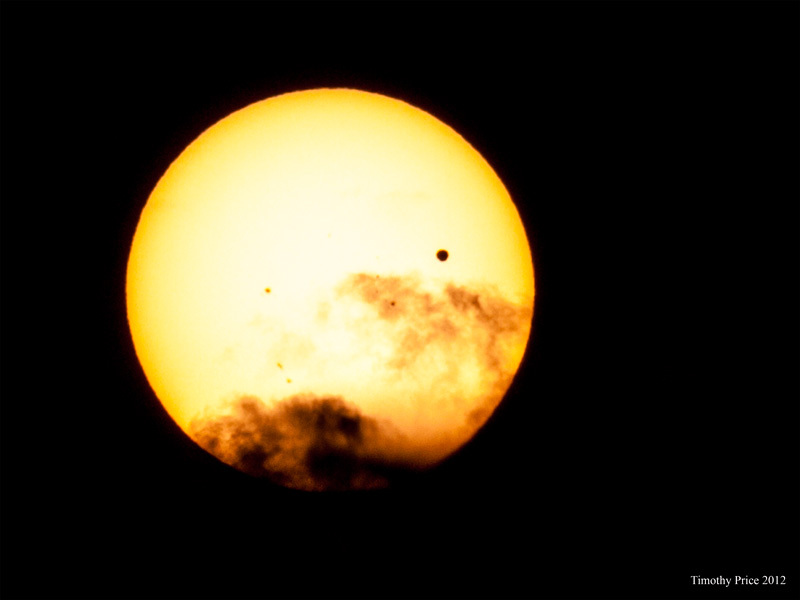 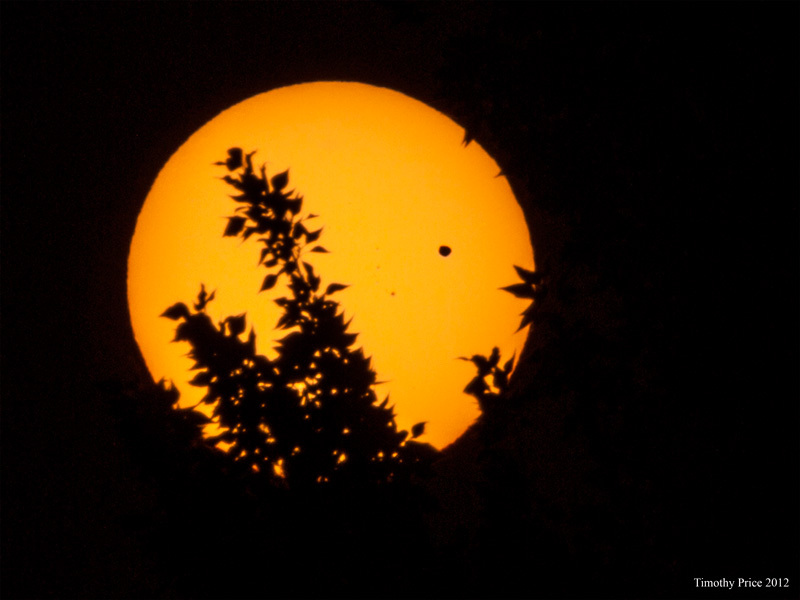 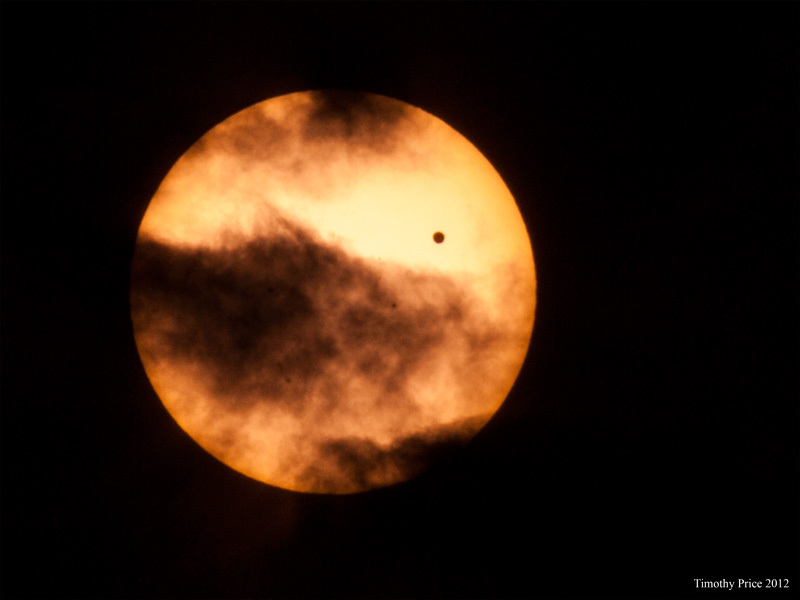 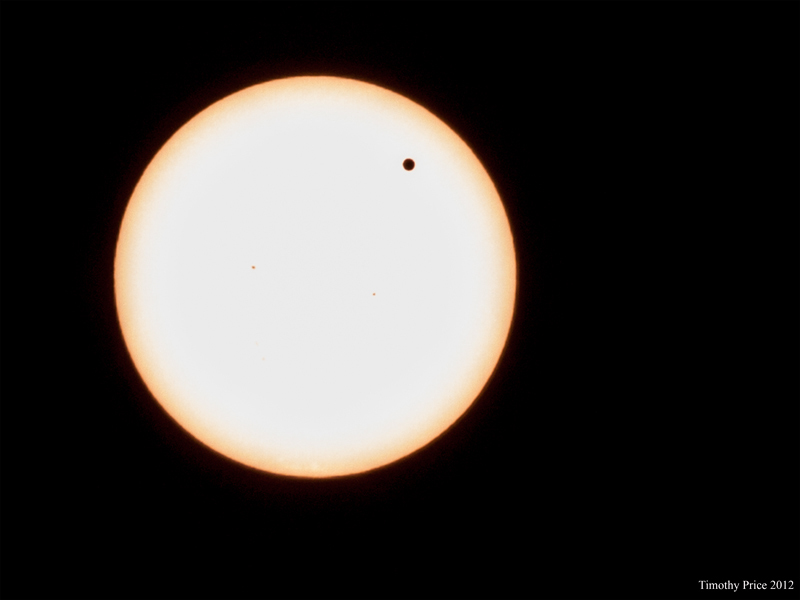 The eleven photos tonight cover the Transit of Venus from when I got my camera setup on our front porch at 5:23 PM to 7:45 PM when the sun fell behind trees and the fence on the west side of the property. 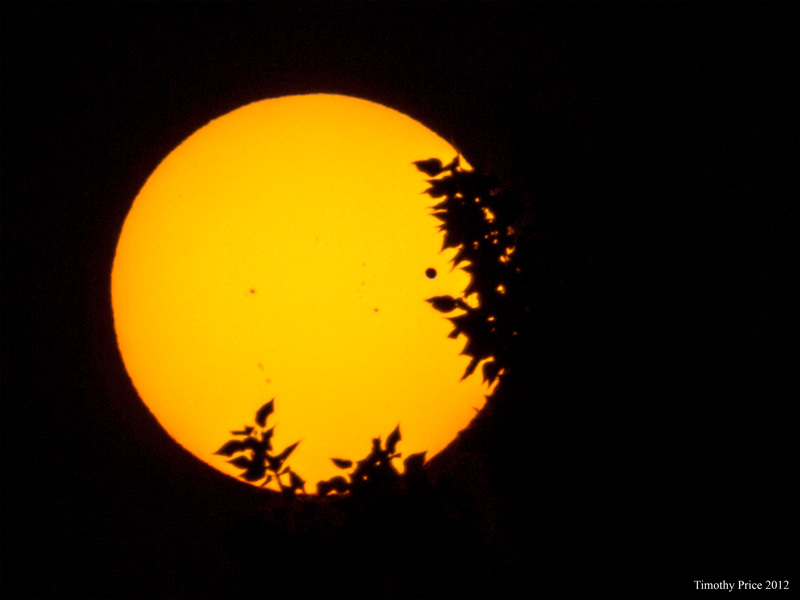 I had to move a couple of times, and as the sun got lower in the sky and filtered through trees and clouds it became more yellow/orange. 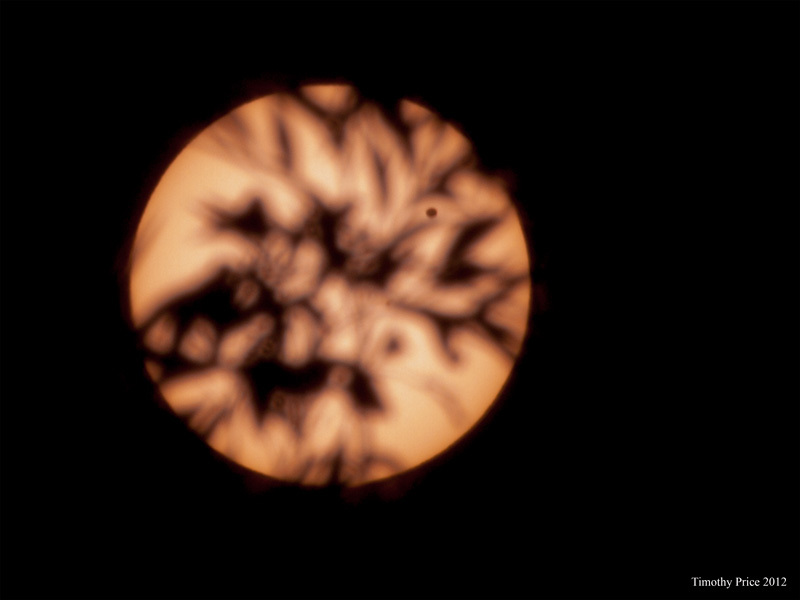 You can see how Venus was slowly moving down the right side of the sun, and it got about half-way down before I lost the sun behind the trees and the fence. 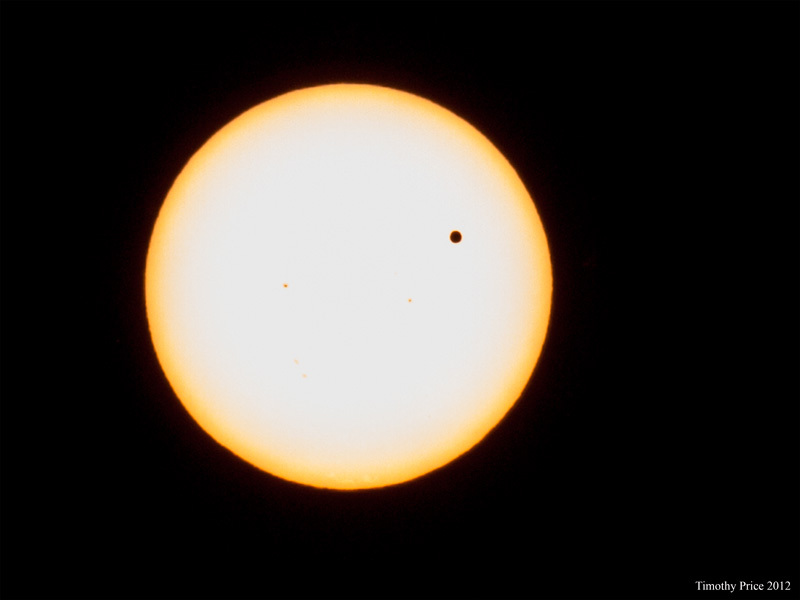 As the sun gets lower and more yellow/orange other spots become visible. 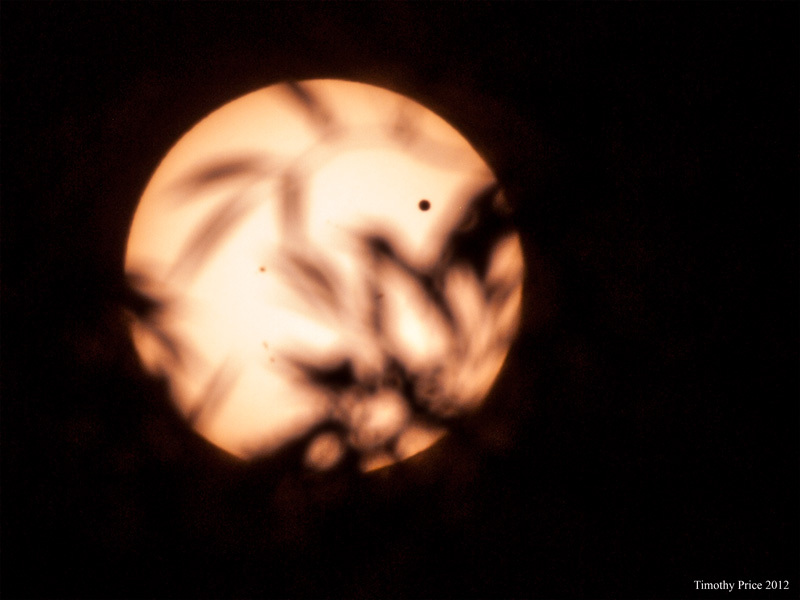 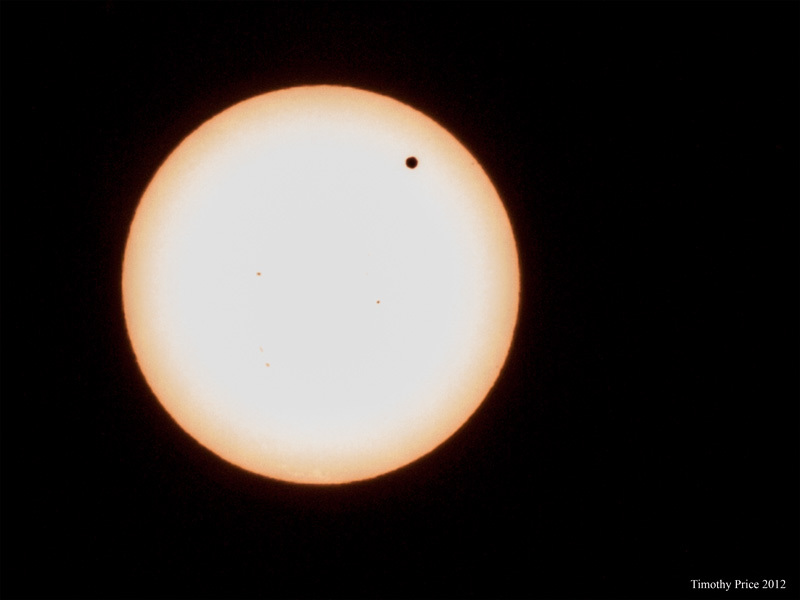 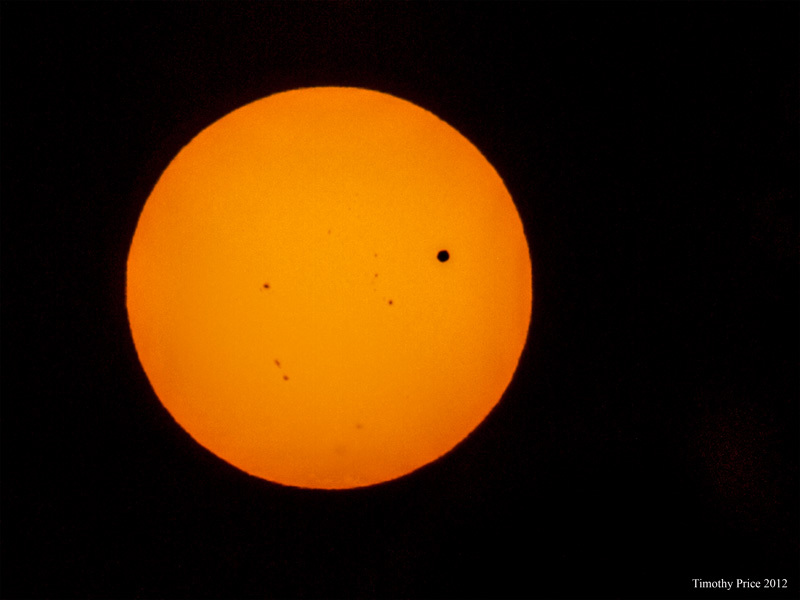 At first I thought the other spots might be dust on the lens or sensor, but since they seem consistently placed on the sun, but I placed almost every shot in a different location in the frame of the un-cropped photos to cover the reflection between the lens and filter, I believe they may actually be sun spots.